The National Industrial Court, Abuja has stopped the Nigeria Labour Congress (NLC) and Trade Union Congress (TUC), from proceeding on nation-wide strike starting from tomorrow, Wednesday. 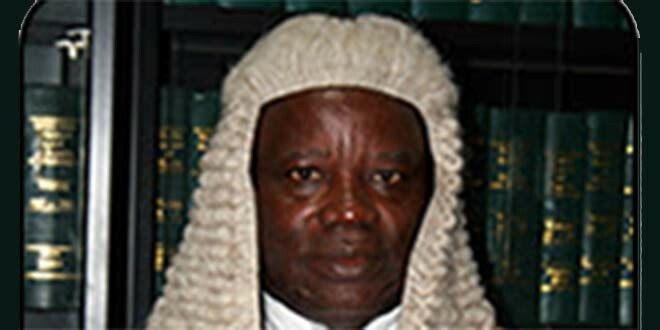 President of the National Industrial Court of Nigeria, Justice Babatunde Adeniran Ademjumo, who presided over the case, granted an Interim Order of Injunction restraining the Defendants/Respondents, their agents, privies, employees, workmen, or servants from embarking on industrial action, demonstrating or engaging in any action that may disrupt the economic activities of the country pending the hearing and determination of the motion on notice. The ruling was based on a Suit No. NICN/ABJ/179/2016 brought by Federal Government of Nigeria and the Attorney-General of the Federation against the NLC and TUC. The Federal Government was represented by the Attorney General of the Federation and Minister of Justice, Abubakar Malami (SAN); Chief O. O. Obono-Obla, Special Assistant to the President (Prosecution), Office of the Hon. Attorney General of the Federation and Dayo Apata, Director, Civil Litigation, Federal Ministry of Justice. The Attorney General of the Federation submitted that if the reliefs sought in the motion paper is refused, irreparable damage will be occasioned to the country’s national economy, security and corporate existence. He further submitted that the Defendants, having threatened to shut down the country, have to be restrained otherwise there will be a breakdown of law and order. In his ruling, Justice Adejumo held that he has jurisdiction to hear the application and that having read through the affidavits in support of the application, he is satisfied that a case of urgency has been established by the Federal Government of Nigeria to warrant the grant of an interim order of injunction.